Everything you need to know about hand appliqu¿ is in thisnewly updated version of the comprehensive guide from PieceO' Cake Designs. 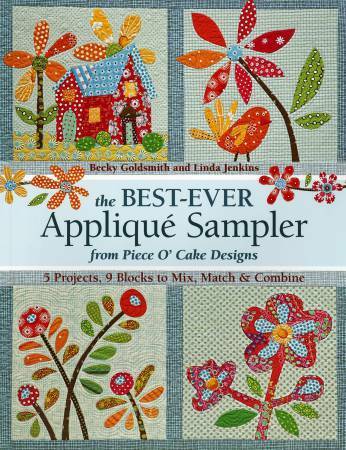 Find all the latest tips and techniques toto help you stitch your own designs, plus 9 new appliqu¿blocks and 5 new quilt projects. Pub. Apr- 2013;96pp.